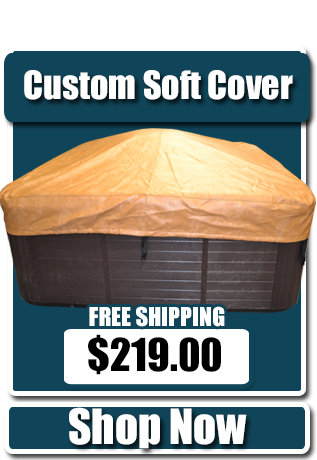 Buy Highest Quality Hot Tub Covers and Spa Covers - HUGE SALE! 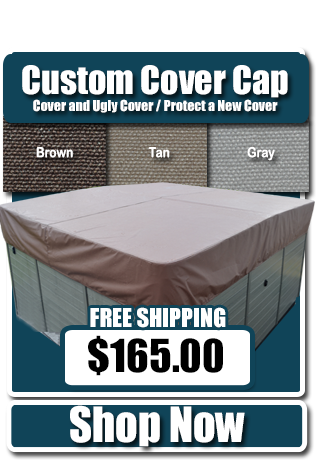 The SpaCoverSpot offers the absolute best custom built premium hot tub cover at an unbeatable price. In addition, today we are offering many upgrades for FREE. 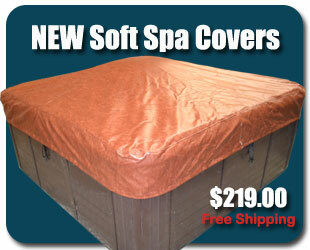 Please take minute and visit our website for more information and to order your new spa cover. All SpaCoverSpot hot tub covers are built in a state of the art highly automated 150,000 sf manufacturing facility located in Tampa Florida. 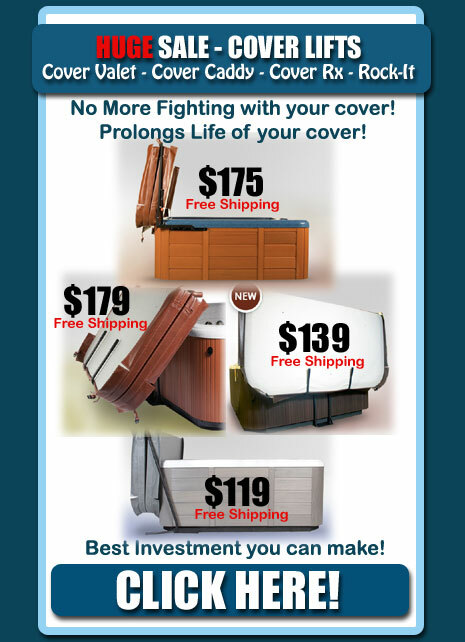 We are the largest spa cover factory in the united states. 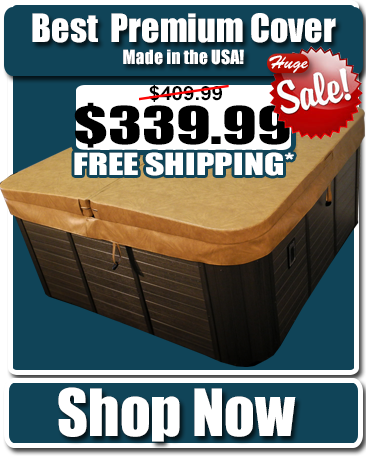 This is the reason we can offer such a high quality hot tub cover at such a low price. 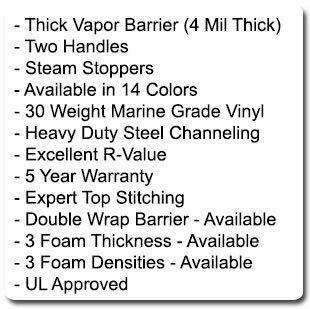 We use only the thickest marine grade vinyl, premium "virgin" polystyrene foam inserts each double wrapped with an extra thick poly barrier and heat sealed for a superior moisture barrier protection. 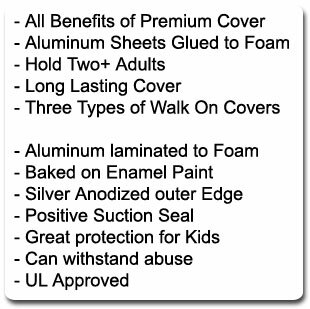 Both the vinyl and thread have UV and Mold inhibitors to help keep your new premium cover looking new. Each foam section includes a heavy gauge steel c-channel which gives extra support and strength to the foam core. We also take the extra step of building each spa cover with heavy duty reinforced handles, an extra strong and reinforced hinge, and extra strong tie down vinyl straps. 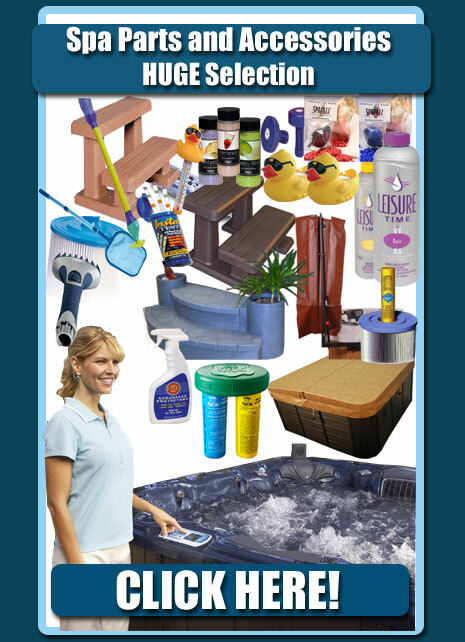 All this adds up to a superior hot tub cover. I just received my new spa cover. It is fabulous and fits great. 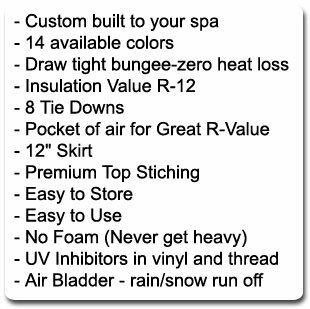 I have put off getting a new hot tub cover top for my hot tub for over 2 years because the spa supplier wanted 6 to 7 hundred dollars for a new one. Your price was almost half that, even with the upgrades I ordered. My old spa cover was so water logged I stopped using my tub because of the weight. I was afraid I would break off my cover support. Thanks again. I will tell all my friends who have a hot tub about your company. 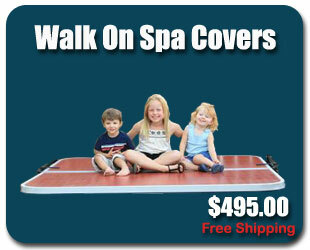 I just wanted to send an email thanking you for your service in making my new spa cover. It arrived yesterday in perfect condition. The hot tub cover fits 100% exactly perfect on the spa and looks wonderful. Hard to believe that Styrofoam can accumulate moisture and weigh it down so much but putting the new one on really made a difference in the weight. So much lighter and easier to handle even with the lift. 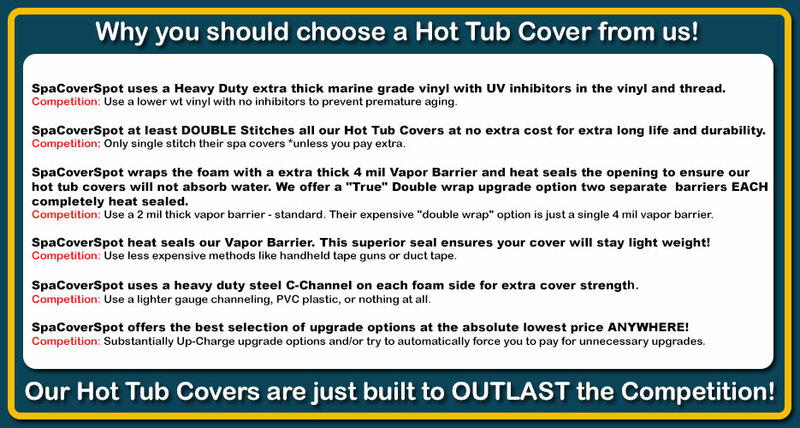 Thanks again and I would definitely recommend your company to anyone looking for quality replacement hot tub covers. 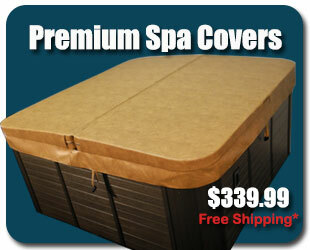 Kevin – just took delivery of the spa cover and I am extremely impressed with the quality. Since we live at 7,000 ft. and the ground is covered in snow I opted for the thicker insulation and I am happy that it doesn’t come with much more weight. My old spa cover had taken on so much water I could barley open it. Hey, i got my hot tub cover on Monday and it fits nice and snug and is perfect...esp as the weather gets cooler and colder up here in St Louis...perfect timing! Very quick turn around! The delivery guy had 2 or 3 other covers on his truck and said that your guys' company must make some darn good hot tub covers at a darn good price...and i told him YES THEY DO!